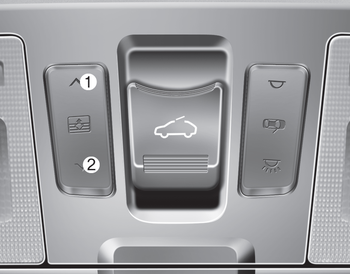 To open the sunshade, press the sunshade control switch(1). To close the sunshade when the sunroof glass is closed. - Press the sunshade control switch(2). - Push the sunroof control lever forward or pull it down.